As you may know, collagen is your skin's natural support. 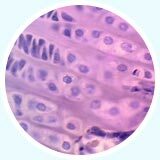 It forms 70% of the protein in your skin's "dermis" layer. Like elastic netting, collagen keeps your skin tight and wrinkle-free when you're young. Scientists have proven that collagen is more elastic than spring coils, which is why healthy collagen gives your skin that tightness which usually lasts into your twenties. 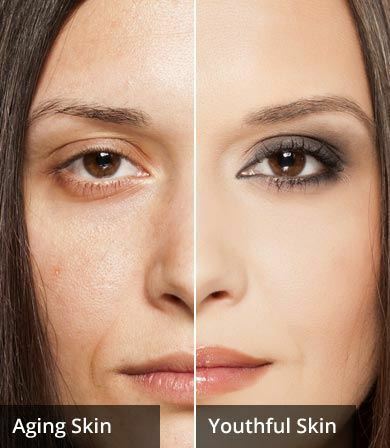 But as the years go by, this collagen layer breaks down and the "dermis" layer of your skin becomes weaker and thinner, resulting in wrinkles and sagging skin. As you age, collagen not only degrades from exposure to the sun and other toxins, but since the average American diet is lacking in collagen you probably don't eat enough collagen to continue building healthy skin. Is It Possible to Re-Build Collagen in Your Skin? In order to reduce wrinkles and maintain healthy skin, you need more healthy collagen in the "dermis" of your skin. Despite the popularity of collagen skin creams, recent studies have proven that collagen in creams doesn't get absorbed into the "dermis" layer of the skin. How can you re-build the skin's collagen if putting on a collagen cream doesn't work? 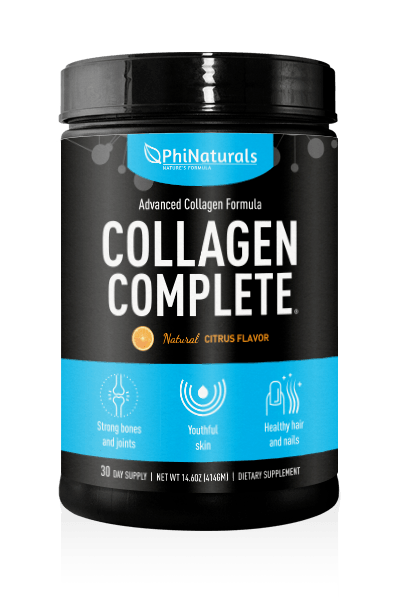 Collagen Complete provides high doses of natural collagen in a mixable powder form, which your body delivers to many parts of your body, especially your skin. Which type of Collagen is best for skin? 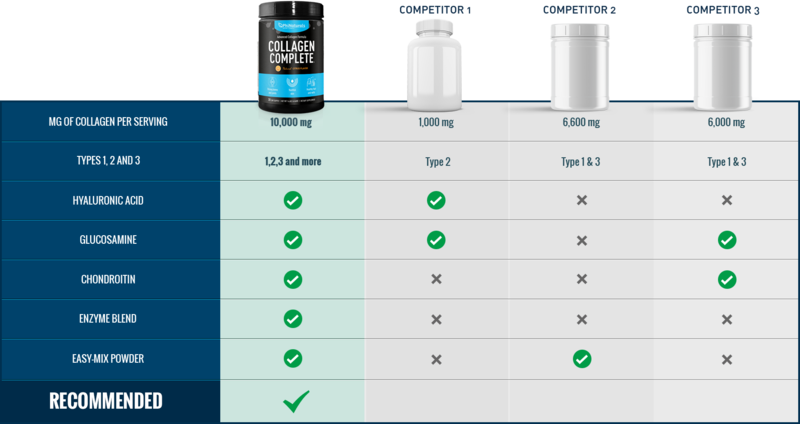 Collagen Complete contains the collagen Types 1, 2, 3 and many others. Collagen Types 1 and 3 form the majority of your skin's collagen. 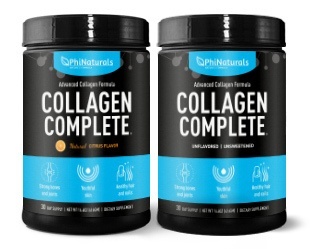 There are many products on the market which have only one type of collagen (such as only Type 2). While Type 2 collagen is very helpful for joints and bones, if you are looking to improve your skin you will want to make sure that you take a supplement that also includes Type 1 and Type 3. Collagen forms 70% of the protein in the skin and creates an elastic layer that gives it structure. More than 90% of Hydrolyzed Collagen ingested is absorbed in the blood stream as peptides which can go directly to the skin. Orally ingested hydrolyzed collagen increases the density of collagen in the skin. 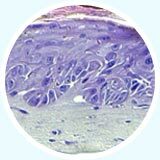 Hyaluronic acid brings nutrients to areas where the blood supply is poor such as tendons, ligaments and cartilage. It also helps the skin stay naturally moisturized. After 8 weeks, hydrolyzed collagen results in significant improvements of skin elasticity, moisture, and smoothness. Hydrolyzed collagen reduces wrinkles by 30%! It results in significant improvement in wrinkle depth, improvement in elasticity and hydration of the skin. Hydrolyzed collagen prevents skin damage from UVA and UVB sunlight exposure. Collagen peptide ingestion results in more collagen-producing cells and increases the density of collagen in the skin. 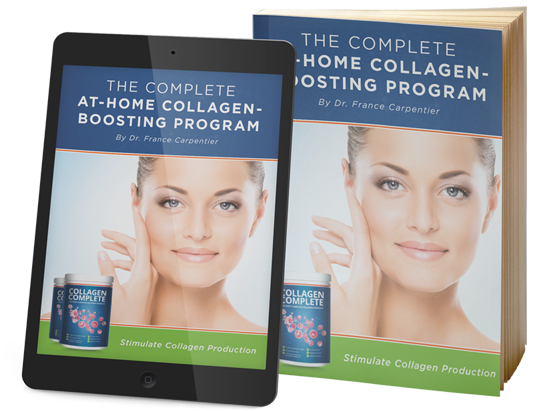 How Collagen Complete provides the “complete” solution for your skin. One of the most important natural chemicals your body uses to keep your skin moisturized and prevent further collagen breakdown. An enzyme that the skin uses in its natural self-exfoliation process, eliminating dead skin cells and giving your skin its natural "glow". Another natural compound used by the body to create Hyaluronic Acid. Glucosamine is also proven to protect the skin from sun damage (UV damage). 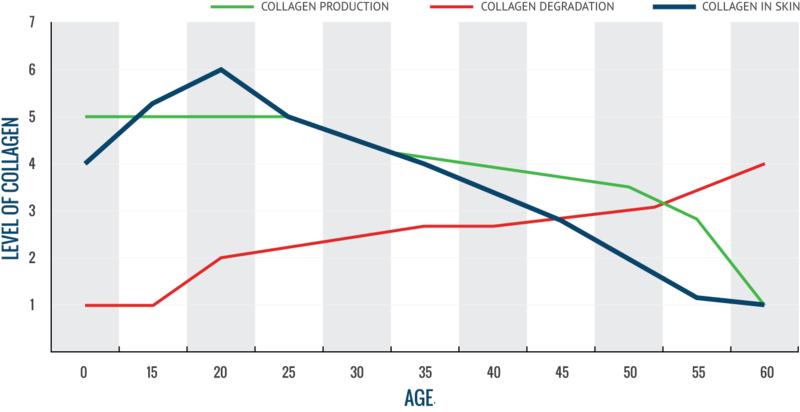 Recent studies have shown that Glucosamine stops the formation of new age spots and helps fade existing ones. Papain is a natural enzyme from the papaya fruit that helps heal the skin by promoting the activity of collagen-producing cells, so your body will also produce its own collagen. Bromelain is a natural enzyme from pineapples that has been shown to improve certain inflammatory skin conditions such as acne, rosacea, dermatitis, eczema, and psoriasis, giving you clear, radiant skin. A natural compound the body uses to create Hyaluronic Acid. 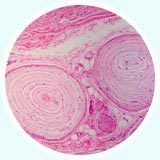 Chondroitin Sulfate works with Glucosamine Sulfate to build proper collagen structure and provide more hyaluronic acid to the collagen. The combination of absorbable collagen, Hyaluronic acid and chondroitin is one of the best "inner beauty" secrets for thicker shinier hair, tighter skin, skin hydration and stronger nails! You can put all the creams and serum in the world on and it won't strengthen you from within. The impact on my skin took about 2 weeks. At first I noticed my skin was better moisturized, and then I noticed a smoother more plump texture to my skin where it was beginning to look sallow. After the full month, my skin was brighter and a bit tighter too. After several weeks of use, I am happy to report that my nails look so much better, they are stronger and look healthy. My hair is responding well too. I have noticed that I have less breakage, my hair feels thicker and looks healthier!